Latin America is characterized by the kindness and warmth of its people. And not only that, the beautiful landscapes, natural wonders and delicious traditional food, make a holiday in any corner of the continent are accompanied by local hospitality. The recommendations of the travelers are undoubtedly fundamental when it comes to choosing among so many alternatives for your next trip. Thus, we list the 26 friendliest cities in Mexico and Central America based on the comments of Expedia users around the world. It has taken into account hotel customer service, highlighting the reasons to visit as: hospitality, comfort and tranquility. The highest score among the cities was 4.75 out of 5 and the last city scored 4.19. Which one will you decide will be your next one to visit? 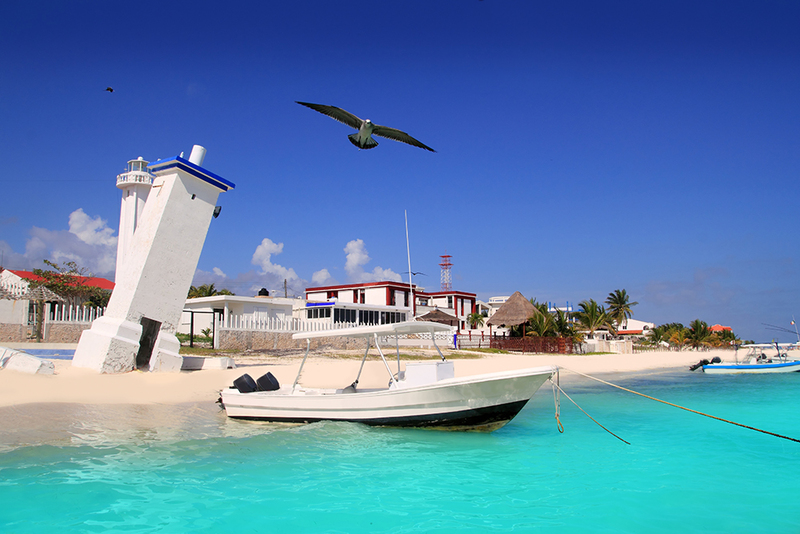 Immersed in the heart of the Riviera Maya, Playa del Carmen offers that pleasant combination of relaxation and fun. This magical destination is surrounded by fascinating archaeological sites and offers something for any type of visitor. From a peaceful day by the sea to a night of drinks on 5th Avenue. To make matters worse, the attention at the hotels in Playa del Carmen will make you feel as a family. This small tico town located near the famous Arenal Volcano is one of the most attractive tourist destinations in Costa Rica. The thermal waters and its beautiful waterfall complement each other perfectly with activities such as hiking and zip-lining. All this framed by beautiful landscapes of the extensive Costa Rican rainforest. Knowing about the mythical Inca empire is a unique experience. Considered a World Heritage Site by UNESCO, Cusco is one of the starting points for hiking to Machu Picchu and the Sacred Valley. What is left in this city are opportunities for sightseeing. No matter what your style, in Cusco you will always find people willing to make your trip unforgettable. San Jose del Cabo is known for its seductive beaches and colonial buildings. Nature lovers enjoy its well-known estuary inhabited by a wide variety of birds. In addition, the city offers many options for fans of fine arts and culinary delights. The city boasts elegant art galleries and sumptuous restaurants. Located on the Caribbean coast, this peaceful fishing village is home to the second largest barrier reef in the world. It is an ideal destination for diving and other marine activities. If you’re looking to enjoy the delicacies of seafood, this is the ideal place. Puerto Morelos has a huge variety of restaurants both regional and international, where you will always be served with a smile. It is the second largest city in Costa Rica and is located just over 20 kilometers from the capital, San José. Its historical legacy for the country is widely recognized as one of the most active cities to achieve independence from Spain. If what you are looking for is to know the lifestyle of the ticos, Alajuela is the ideal place. Their parks are traditionally the place where the inhabitants meet in the afternoons to talk and enjoy life. It is the favorite place for divers from all over the world for its beautiful reefs. It also has an incredible ecological reserve, which can be traveled by kayak. If physical activity is not your strong point, do not worry, there is also a fabulous submarine tour. You can enjoy the tour of the reefs 30 meters deep. This is a singular destination, it is a residential tourist complex designed to offer tourists a great luxury experience. With an extension of 5 kilometers, its exclusive beaches are combined with lavish apartments, golf courses and elegant restaurants. Considered one of the best beaches in the world, this Caribbean beauty is an example of luxury and majesty. However, that does not mean that there is no space for culture, you can also enjoy the peculiar Museum of Maritime Treasures, as well as a great variety of works of art that reside in the National Gallery of the Cayman Islands. This jewel of the Pacific is a surfer paradise that has been growing hand in hand with tourism. The variety of bars, restaurants and hotels make it one of the most attractive destinations in Costa Rica. Regardless if we are in South America, Central America or the Caribbean, hospitality is always present in the cities of our beautiful continent. Its warmth is not only found in its beautiful beaches, but also in the reception of its people. Without a doubt, you can enjoy and relax in one of the best hotels in Puerto Vallarta . Your vacations can be in an exotic destination that you have never visited like Brazil or Aruba, or they can be in a recurrent traditional place. Latin America is distinguished by its magical towns full of history and great cultural richness. Although we can also find luxury resorts by the sea. The southern region of Mexico, as well as much of Central America have a vast archaeological history to tell. It is worth taking the time to learn about ancient civilizations while enjoying magnificent landscapes. The World’s Best Places to Retire in 2017 In Need of a U.S. Notary While In Mexico?